If it seems impossible to amass a fortune in an IRA during your lifetime, think again. The Government Accountability Office reported Tuesday that about 9,000 U.S. taxpayers have each accumulated at least $5 million in individual retirement accounts. 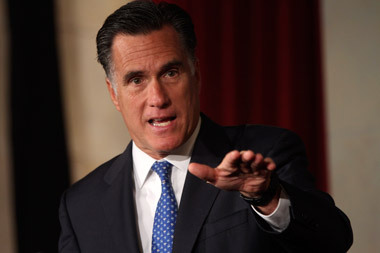 While the GAO didn’t say how they managed to do so, Mitt Romney and some other successful executives offer a road map. Outsized, tax-advantaged returns in such accounts drew attention during the 2012 presidential campaign, when Republican presidential nominee Romney reported he had an IRA worth $20 million to $102 million. Congress and President Barack Obama have scrutinized IRAs since, saying they weren’t intended to be a tax shelter for millionaires and billionaires. First, work at a startup. If you’re an entrepreneur, you can create more than one share class of stock at your company and put $1,000 in a standard or Roth IRA, said Bill Parish, president and chief investment officer at Parish & Co., an advisory firm based in Portland, Oregon. If some shares are valued as low as $0.000001, as Yelp Inc. reported in its S-1 filing with the Securities and Exchange Commission in 2012, that buys a chunk of equity. “The key is that you transfer the stock directly from the company to your IRA,” Parish said. As the securities appreciate, investors can sell and diversify into other holdings tax-free until they withdraw funds. Or, in the case of a Roth IRA, the gains aren’t taxed at all, Parish said. Max Levchin, chairman of San Francisco-based Yelp, reported 2.7 million shares of the company’s Class B Common Stock in his Roth IRA, according to this year’s proxy statement. Class B shares of Yelp are convertible at any time by the holder into shares of Class A on a one-to-one basis, according to the filing. Yelp shares closed at $76.54 in New York yesterday. That comes out to about $206 million worth of Yelp shares in his Roth account. At the time of the company’s S-1 filing in February 2012, Levchin reported 3.9 million shares in his Roth account. He didn’t respond to a request for comment Tuesday. The next strategy has involved placing a low initial value on an IRA’s investments. Romney, the co-founder of private-equity firm Bain Capital LLC, never explained how he accumulated so much wealth inside his IRA. Yet one way that private equity and hedge-fund managers build large balances is by valuing their company’s investments at close to nothing, and they later grow exponentially, said Bobbi Bierhals, a partner at McDermott Will & Emery LLP in Chicago. A third way to amass money in a retirement account is to work for yourself. Self-employed people including doctors and lawyers can contribute as much as $52,000 this year to their IRAs. If you start at age 25 or 30 contributing the maximum amount, you don’t need extraordinary investment returns to end up with millions by the time you’re 50, Bierhals said. Another strategy: Using a self-directed IRA to make a big bet on a closely held company, said John Olivieri, a partner in the private clients group at White & Case LLP. If the business succeeds, the IRA’s value can increase dramatically, he said. The last strategy is working for a successful company and socking away plenty in your 401(k). Sometimes the tried-and-true way to retirement security works. Employees of a company with a generous 401(k) program can end up with millions in their account over a career and then roll it into an IRA. Company stock appreciation, annual matching contributions from the employer and additional profit sharing can all add up over a career. “You can expect some people to have multimillion-dollar IRAs if they include funds from rollovers,” Parish said. Investors should beware, though, as manipulating IRA holdings for tax purposes can attract attention from the Internal Revenue Service. The IRS prohibits some transactions in accounts such as buying property for personal use with funds or borrowing money from it. The IRS in 2013 also proposed new reporting requirements for hard-to-value assets in IRAs that were optional this year. Other curbs are possible. In 2013, President Barack Obama proposed new limits on tax-advantaged retirement accounts, including IRAs and 401(k)-style plans. Under the plan, which hasn’t advanced in Congress, people wouldn’t be able to add tax- favored contributions once their combined account balances reach about $3.2 million. According to the Treasury Department, Obama’s plan would raise $28.4 billion in revenue over the next decade. In addition to this year’s maximum annual $5,500 contribution to a standard or Roth IRA, those age 50 or older can contribute another $1,000. Contribution limits for 401(k) accounts are higher than for IRAs. Workers can direct as much as $17,500 of pretax income toward their 401(k) in 2014. Employees 50 and older can set aside an additional $5,500. Most people, of course, have far less than millions in their retirement accounts. The GAO report, based on taxpayer data through 2011, said someone who contributed the maximum amount each year to an IRA from 1975 to 2011 and invested it in the Standard & Poor’s 500 Index would have about $350,000. The total amount could be as much as $4 million per person, though, for those who rolled over 401(k) accounts or used the higher IRA contribution limits for self-employed taxpayers. A further report is expected later this year. The average balance in an IRA was $92,600 as of June, according to Fidelity Investments, the largest provider of accounts. For workers who have participated in a 401(k) plan for 10 consecutive years, the average balance is $246,200, Boston- based Fidelity’s data show. Among Fidelity customers, 89,020 have IRA accounts totaling more than $1 million and 68,970 have 401(k) accounts with balances larger than that amount, said spokesman Michael Shamrell.